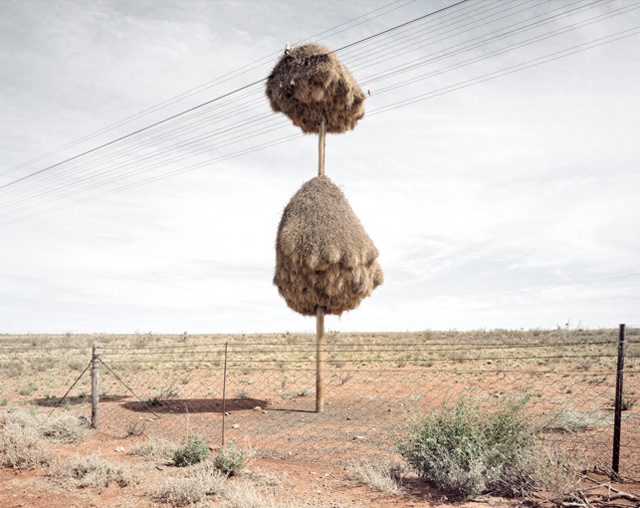 Awesome bird nests brought to you by the sociable weaver bird in the Kalahari. Simply amazing (h/t @vkwhatt). If you thought the election of Libya’s life President, Muamar Gaddafi, as president of the African Union was a joke wait till you hear who was elected chairman of COMESA, a regional trading block that comprises most of the nations on the east coast of Africa. Yes, Robert Mugabe, Zimbabwe’s strongman who ran his country’s economy aground has been elected chairman of COMESA! And as expected, this has generated some protest in the African blogosphere. How do these guys pull off such stunts with a straight face? You would imagine that with a president like one Robert Mugabe the Zimabwean opposition would do anything in their capacity to have him out of power. But you would be wrong. This power hungry lot (yes, this is what I think of them) has refused to come up with a coalition against Mugabe. Their leaders, Tsvangirai and Mutambara, have confirmed that talks between their rival MDC factions have “broken down irretrievably” – according to the BBC. A divided MDC almost certainly guarantees the aging Mugabe a win in the March polls. Meanwhile, ordinary Zimbabweans continue to live their lives under the yoke of the wayward economic practices that the world has come to know the Mugabe administration for. Mugabe’s bad economics has also been served with a touch of human rights abuses and lack of respect for the rule of law. It is really shocking to imagine how he manages to get re-elected. Tsvangirai and Mutambara owe it to their countrymen and women to form a united front if they really want to unseat Mugabe. They have no business running separate campaigns in March because this will guarantee the presidency to Mugabe. Knowing African leaders (yes, I think after all that has happened on the continent from Senegal to Somalia and Chad to South Africa I can make this generalization, but I digress) I don’t think these two power hungry men will let their egos and quest for personal aggrandizement take the back seat and let the plight of their countrymen and women take the front seat. Sadly, this is yet another case of African leaders lacking true leadership. It also paints a bad picture of both Tsvangirai and Mutambara and makes one doubt whether these two really want to end the bad governance that we’ve come to associate with Bob or whether they just want to perpetuate the same old practices of rent-seeking, cronyism and over-the-roof inflations rates – but may be with less human rights abuses and the jailing of opposition supporters. Even this is questionable, after seeing what Kenya has turned into following the “bad” years of Moi rule. African leaders just have a way of making you look back and shock yourself by wishing you had the likes of Moi in power. If Tsvangirai and Mutambara care about their international reputation thy ought to unite. Otherwise many reasonable people will question their vision for Zimbabwe and indeed their commitment to ousting Mugabe and bettering the lives of millions of hungry, sick and illiterate Zimbabweans.